Two severely abused toddlers have found a forever home with a selfless Florida nurse who helped care for them while they were in the hospital. Twin sisters Delilah and Caroline were just one years old when they were admitted to Wolfson Children’s Hospital in Jacksonville, Florida, for non-accidental trauma. Jess Hamm, a nurse at the hospital, fell in love with the little girls the first time she met them, and it didn’t take long for her to welcome them into her family. As Fox News reported, Delilah was suffering from broken bones, a skull fracture, and severe malnutrition when she arrived at Wolfson. Hamm was working in the pediatric intensive care unit at the time, and she was struck by how weak the child was. Delilah couldn’t sit up or hold a bottle, but that didn’t stop her from latching onto the nurse’s finger. Hamm had always dreamed of being a mom but had never considered adoption. That all changed when she met Delilah. 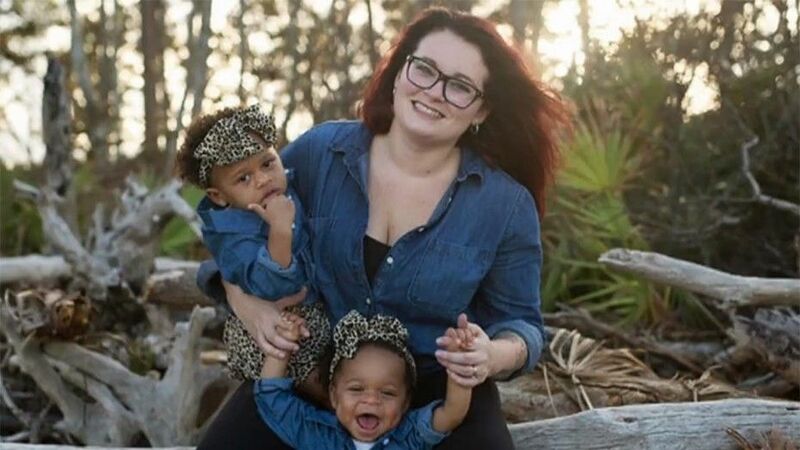 According to WJAX, she went through the proper channels within the Florida Department of Children and Families to adopt the toddler and, in the process, learned Delilah had a sister named Caroline who was also in the hospital. Without hesitation, Hamm knew she would have to adopt both sisters. “I was like ‘oh my gosh, I’m going to take [them] home,’” Hamm said. The girls are now two years old, and the new mom is amazed at how different their personalities are. Describing Caroline as a “social butterfly” and Delilah as a charmer, Hamm says her daughters share an incredible resiliency. Ultimately, the nurse hopes that sharing her and her daughters’ story will help shine a light on the adoption process. “I hope when people hear my story it opens them up to the possibilities of adopting,” Hamm concluded.